The room was packed, 50+ pairs of eyes staring intently at Belinda Baggs onstage. It was clear the turnout had surpassed all of Patagonia’s expectations, good effort Cornwall. The talented logger and bodysurfer best known for her graceful and fluid approach, is a passionate advocate of Fairtrade and a sustainable surf lifestyle. Having worked with Patagonia for over 10 years, she’s watched the concept of taking social and environmental responsibility turn into a core belief when manufacturing products, and subsequently become a certified Fairtrade company. An evening with Belinda Baggs and Patagonia. 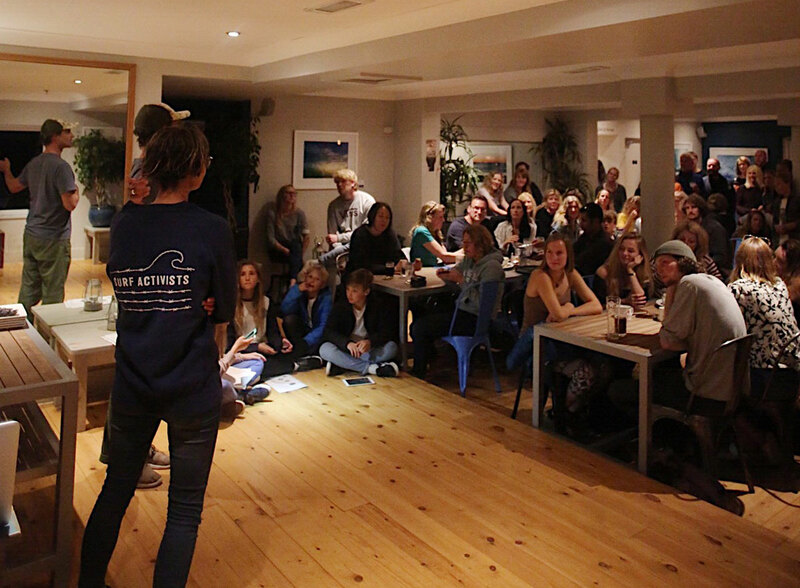 The evening with Belinda in association with Patagonia and Down The Line was a chance to hear her stories of the sea, but the message ran deeper than the simple joy and mindfulness of surfing. She described her motivations behind helping promote the mind-set of ‘taking responsibility’ and delved deeper when we caught up after the presentation. Balancing the functionality, style and price of an item with our social/environmental conscience can be tricky, especially when prioritising the demands of every day life. But this is the concept; the purpose-built gear we invest in awards us hours and hours of water-time, so if we can give a little back to improve the lives of those who made it, we probably should. “I feel like all our decisions as humans have an impact on the environment and each other, so we should make them consciously when we purchase items. 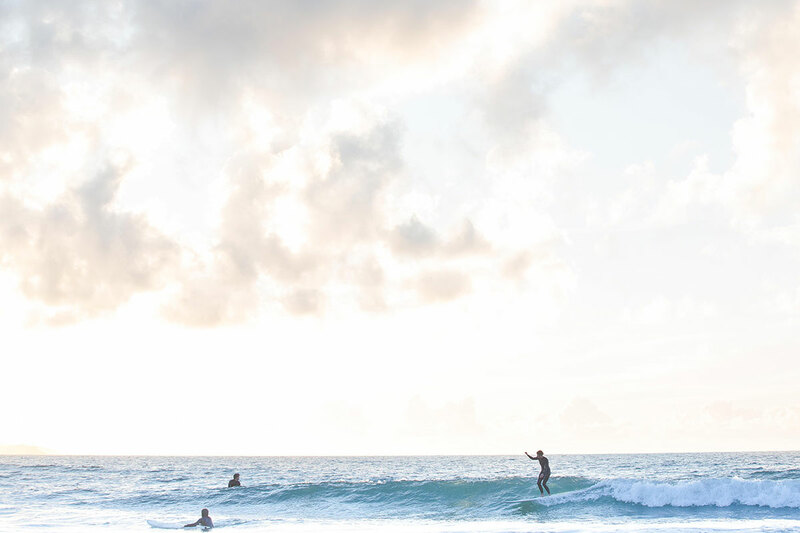 When Belinda first visited Sri Lanka on a surf trip a few years after the 2004 Tsunami, it’s coastal areas hadn’t yet regenerated. “Locals were yelling at me, pointing at what was on the roof of my car. It was of course my surfboards and after many animated explanations I left with a funny farewell of shakas and kids shouting ‘hang ten’ as I made my way down the street. The industry had rebuilt after the disaster and it was during this visit that Belinda saw Fairtrade in action. The day after her visit, Belinda surfed in the pink shirt she’d helped sew 24 hours before and was struck by the collective effort behind our garments. 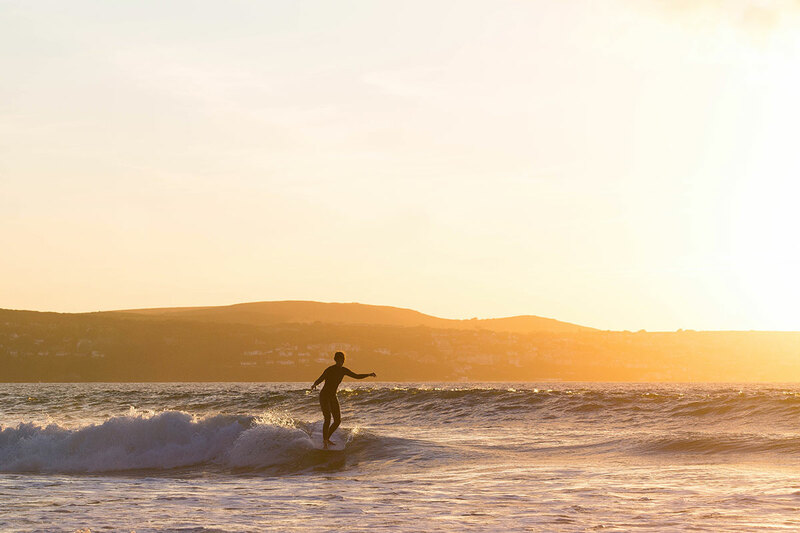 The notion of leaving an environmental ‘footprint’ is something Patagonia tries to minimise, forging the production of more environmentally conscious items including wetsuits containing natural Yulex rubber. As a surf ambassador, Belinda tests the gear in challenging, ever-changing conditions. With Belinda’s words in mind, I left with a new sense of responsibility and the intention to buy some swim-fins.